Drink No Wine Before Its Time – It’s Time! 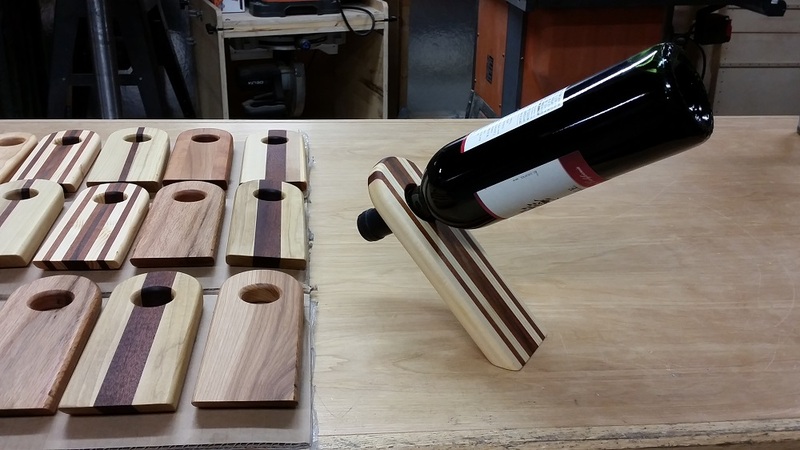 And that’s all there is to making your own balancing wine bottle holder. It’s perhaps simpler than I made it seem. But a true sommelier will never say “it tastes good” and leave it at that when there’s so much nuance and nutty overtones to convey. As I’ve pointed out, you can simplify things by using a board and skipping the gluing and planing aspects of the project (I made some of each). A fine wine deserves a fine holder. Cheers! While supplies last, you can also buy some of the wine bottle holders you saw me make via my Etsy store, for around $15! This is a fun project. Would be a lot simpler if I had his tools. Oh well, I’m the queen of work-arounds. Thank you, Liz. I like your spirit. The tools are merely a convenience. 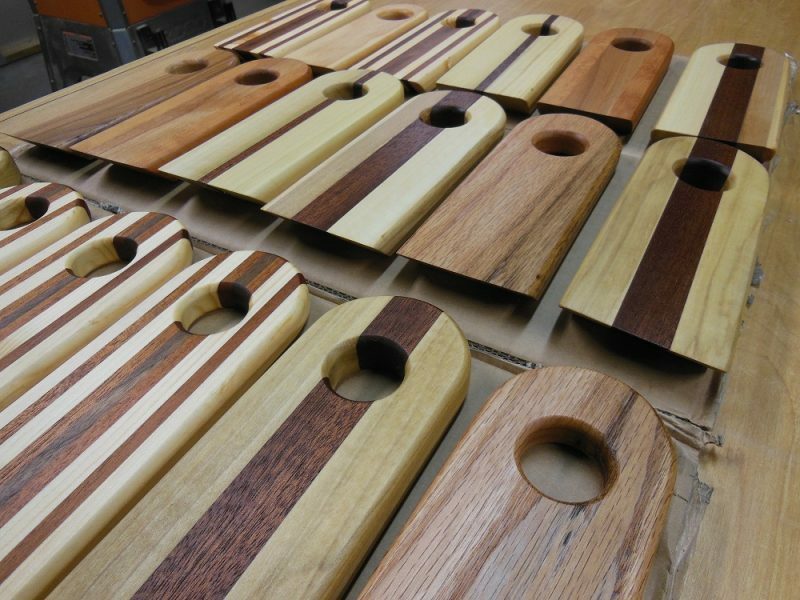 In reality, a hand saw, handheld electric drill and some sandpaper would get the job done, especially if you begin with pre-milled boards, like those from the local home center (or even shipping pallets). 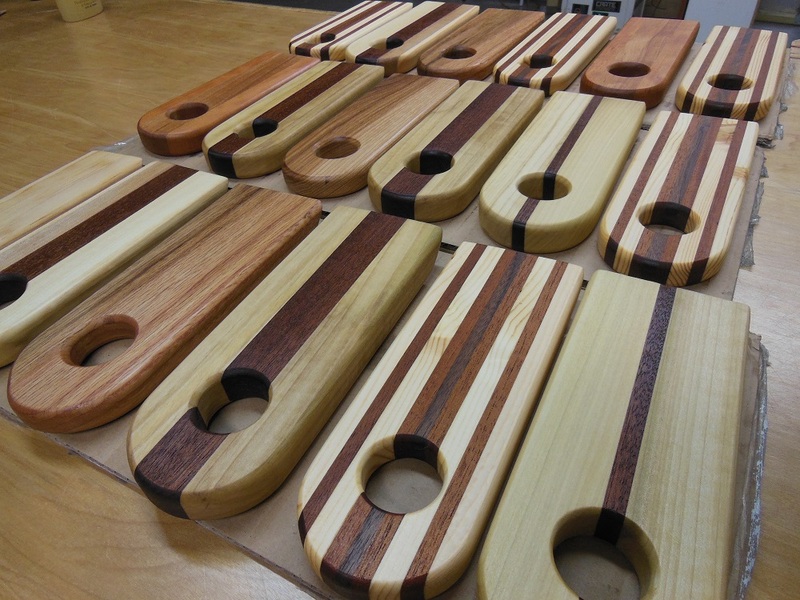 The gluing and clamping are extra steps for the sake of variety and visual appeal.